As usual, Google is offering a mobile app for iOS and Android users who are attending Google I/O 2016, or watching it from a remote location. The app includes a map for those who are planning to be on site, and also mentions some of the after hours activities that are being held in order to entertain those in attendance. A schedule of discussions is offered, along with a capsule description of what is the topic of discussion. You can make a personalized schedule and have a reminder alert you when it is time to either personally attend a discussion, or view it streamed live. 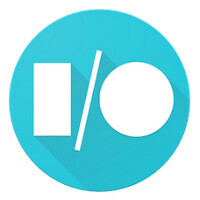 The keynote starts at 1pm today EDT and features Google CEO Sundar Pichai; the app will allow you to view it on the go. The Google I/O 2016 app is free to download. If you're in Mountain View, set up your schedule and sync it to all of your devices. Add the reminders, and you won't miss any of the sessions that you've traveled so far to see. And if you are not attending, having the app installed on your phone is the next best thing to being there. If you're interested in installing the Google I/O 2016 app, click on the sourcelink. No post. No one is interested.